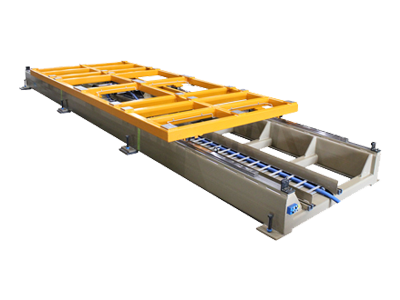 The fifth largest defense contractor in the world contacted us, as they had a need to perform a very difficult manufacturing process to a part for the F-35 fighter jet. 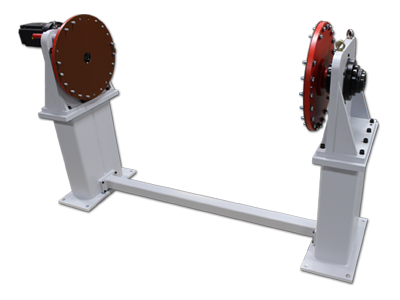 The issue at hand was they need to accurately rotate a part, with rotational tolerances of less than 20 arc-minutes, but this had to be done using a fixed index drive, with barrel cam index drive, mounted in a trunnion configuration, but it had to meet a list of specifications. 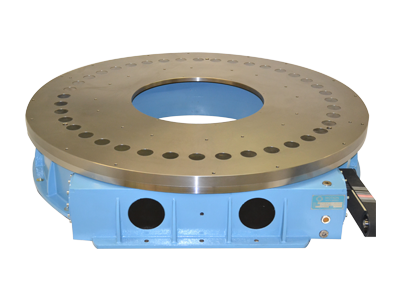 The loading on the index drive is 1500 lbs mounted off of the faceplate of the trunnion, rotating about a 1.6 Meter Diameter. The unit had to be completely sealed and impervious to extremely caustic materials, including a byproduct of carbon fiber machining, as well as being able to be powered utilizing a battery pack. 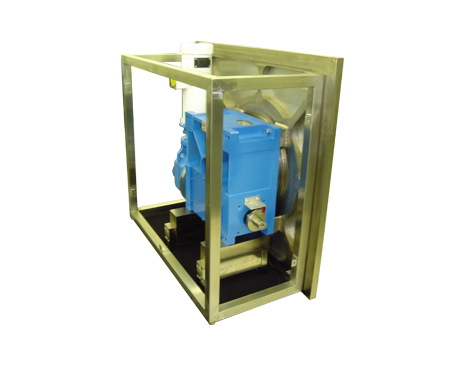 This is quite difficult since our industrial machines utilizes industrial AC motors traditionally. 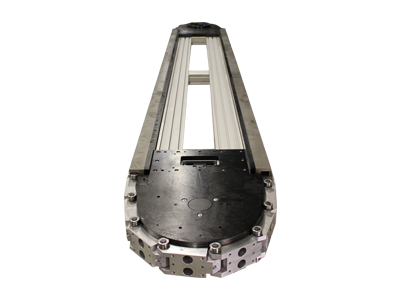 Our solution utilized a TT315 barrel cam index drive, that was specially manufactured with extreme sealing options. 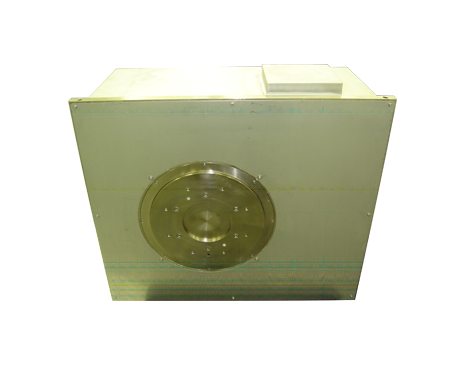 The unit was mounted inside of a custom stainless steel enclosure that was electrically coated to withstand the materials that is would be sharing an environment. In addition, special seals were used to prevent the materials from intrusion into the enclosure. The unit was driven by a washdown proof and sealed DC motor, that was powered by a battery pack.